This live stream is dedicated to the memory of Hooper himself, Burt Reynolds. Are you ready for some football? It’s NFL Opening Day as the Atlanta Falcons battle the defending Super Bowl Champion Philadelphia Eagles. 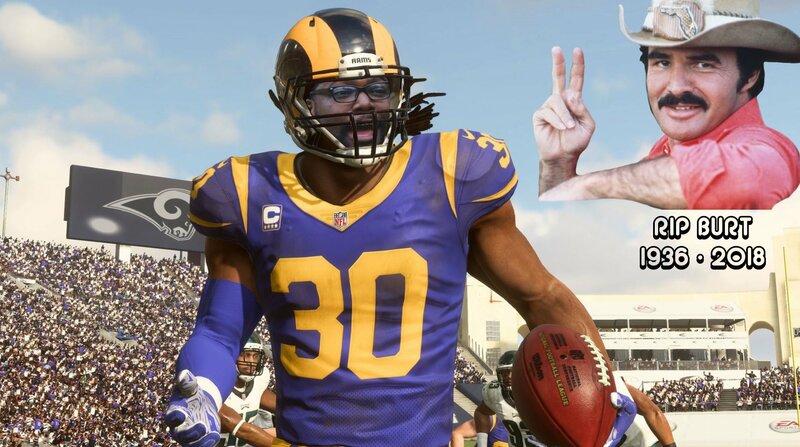 To mark this momentous occasion, today’s episode of Happy Hour will feature some hot Madden NFL 19 action and a duo of the hottest boys Shacknews has to offer. Throw on your jersey, heat up some gas station nacho cheese in your microwave, pop open some cold ones, and get ready for a gridiron battle that you’ll likely forget. Today’s stream is also a memorial dedicated to the life of actor Burt Reynolds and his envy-inducing mustache. The Longest Yard actor was 82. Today’s stream will kickoff at 6:30 PM ET (3:30 PM PT) on the Official Shacknews Twitch Channel.